Family: Michele and her husband, Till, have 3 children: daughters Sonja, 23, and Katja, 20, (both dancers) and son Sasha, 17 (who is more into climbing). Michele Dohse met her husband of 26 years, Till, dancing. They first clicked at the International Folk Dance group that met on the N.C. State University campus in the 1970’s when Michele was in high school. The duo advanced to more challenging classes, including a series of Hungarian Dance workshops in Quebec. After they survived Hungarian dancing together, they decided it was time to get married. “We told each other it was never going to get any worse than that, and strangely enough, we were right,” Michele said. In her 35-year exploration of clogging, jigue (French-Canadian step dancing), swing, contra, belly and bhangra, dancing has enriched Michele’s life in many unexpected ways. She credits the upper body isolations of belly dance with curing her incipient carpal tunnel syndrome. Belly dancing also came along at just the right moment when her daughters were teenagers. “It provided them with a positive body image and circle of caring women friends at a vulnerable time,” she said. Belly dancing was also a way for them to connect with their mother, as they encouraged Michelle to return to a style of dance that she had last experimented with at age 19. The main dance genre she practices with Lisa Zahiya is bhangra, a folk dance that originated in the Punjab region of India. Bhangra has grown worldwide popularity in recent years, especially when mixed with hip hop in dance clubs. For about a year, Michele danced with Lisa’s bhangra & Bollywood troupe Bala!, which performs at festivals and club events. “The energy of bhangra is so infectious there is an instant connection with the audience,” she said. It was a great feeling to be part of a very close-knit group.” She stresses to anyone considering joining a performance troupe that it requires a commitment of time, energy and money and should not be undertaken lightly. The troupe members are depending on your participation. The dance forms that Michele concentrates on may change, fade from her life, or circle back and return later. But the bonds that she has created in class, whether they be with her family, troupe members or an array of talented dance teachers, will remain. Family: Married to Brett Spivey for 14 years. Their baby is Mellow, a pit bull mix. Dance changed Jen Ferre’s life. Jen dances in Lisa Zahiya’s bhangra and Bollywood troupe, Bala!, and has taken Lisa’s classes since 2009. “I have so much fun in every class,” Jen said. “Lisa is very supportive in her teaching. She creates an open and welcoming environment with her joyful spirit and kind heart. She makes me feel good about myself, and I always leave class feeling like I accomplished something important. “Plus, she’s just so funny!” Jen added. Lisa entertains the class with anecdotes from her life, and her internal monologues periodically spill from her head to her mouth. She’s not afraid to laugh at herself – and that is contagious to the dancers, standing in front of the mirror watching their reflections move up and down to high-energy Indian music. Her students appreciate reminders not to take themselves too seriously. Jen also values the camaraderie with the other dance students and the interaction with the audience. 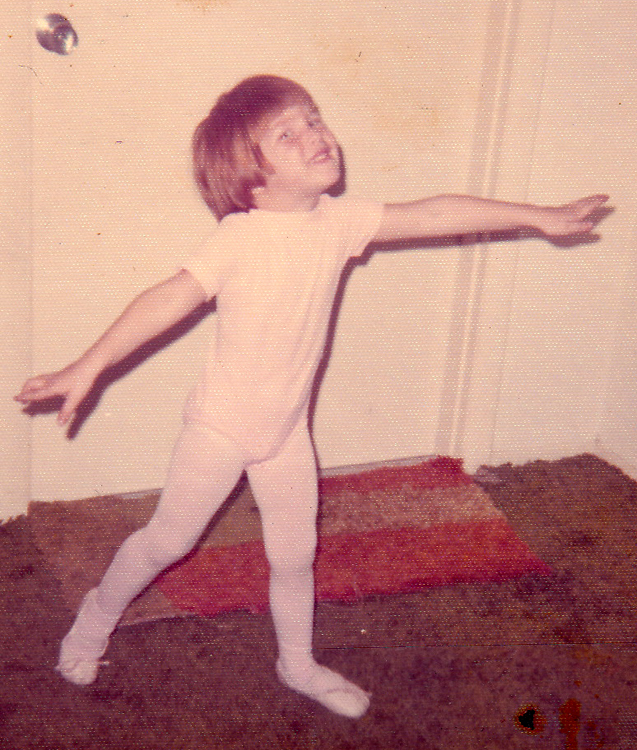 Jen as a young dancer! Dancing with Lisa also brings back Jen’s fond childhood memories, a time when dance was a key part of her life. Her first ballet recital was at age three. Whew! The last two weeks have brought two out of town trips to teach dance workshops. 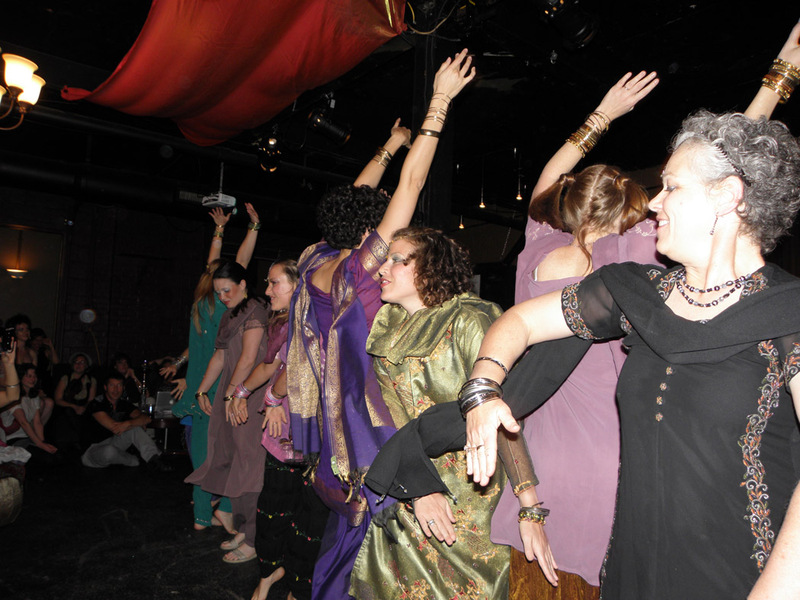 While I am tired and excited to sleep at home, it is so inspiring to see different bellydance communities developing. The first weekend of March took me to Pittsburg, PA – for a day of workshops and a show sponsored by dancers Janim and Katia. Not only was I excited to see Pittsburgh and to teach, Katia was a long time student of mine here in Asheville and a very good friend, so I got to visit with her and meet the newest member of her family, baby Olympia. Bellydance allows me to have friends all over the country and world and it allows me time to spend with them, to see their cities and homes – what a gift! 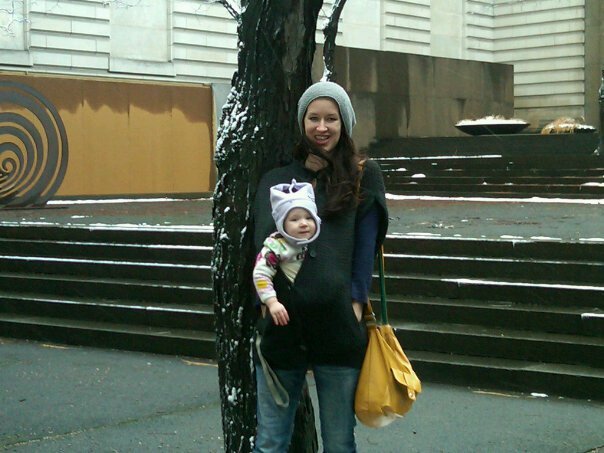 Sunday was great – I got to sight see in the snow in Pittsburgh (snow-March!). We shopped in some ethnic markets (something I sorely miss from living in a larger city), saw the Carnegie library and walked around in the snow….it was great! The next week brought Columbia SC and really different weather (80 degrees and sunny) which made me excited for spring and summer here in Asheville. Maria Palacio, a multi-talented bellydancer sponsored me and I got to teach some of my favorite topics – 4 hours of Turkish, 2 hours of Bhangra and 2 hours of Working with Music. I was sore after the weekend, but was again inspired by the fun and open dancers I found here. All the dancers were open to the variety and different music and moves that Turkish bellydance brought and jumped (literally) right into Bhangra! Maria provided a great studio – where they also taught Gyrotonics – it made me feel like we were right in the middle of Soho. She also organized a really fun hafla which included all kinds of fun and great performances, including a beautiful veil solo by the host – she was so great I forgot to put on my zills for my piece! Check out the other teachers that Maria is bringing in this year – she has some great plans in the works! In between travels I’ve been attempting to rest but also teaching studio classes as well as my LEAF in Schools and Streets Community Classes. 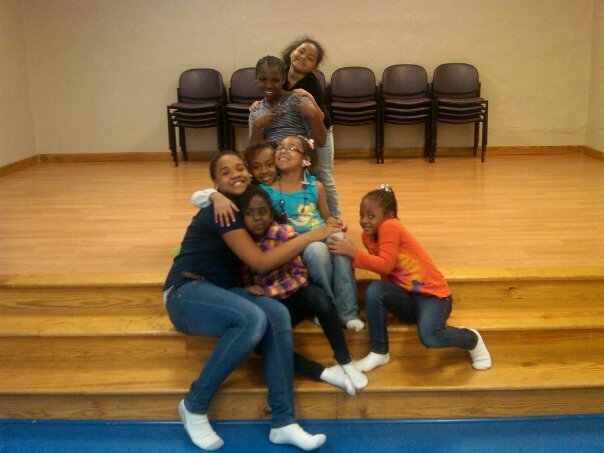 The children I am working with, from 1st-8th grade, are amazing and great at grounding me and teaching me lessons. We’re working on some great pieces to perform at this year’s festivals – can’t wait! 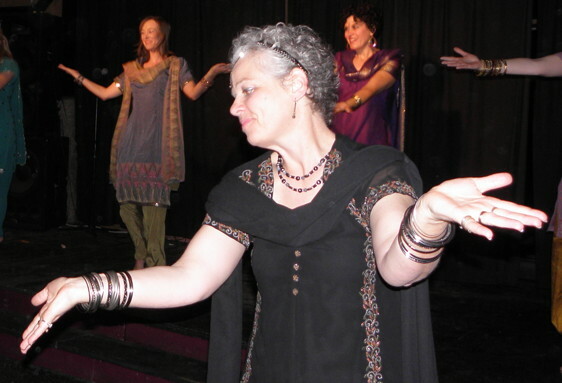 The end of March brings a workshop in Ohio, a residency in a local high school and preparing for the Asheville Bellydance Festival – thank goodness for that extra daylight! Wow! Tuesday is March 1st. Here is Asheville the forecast is for 70 degrees today and I’m seeing forsythia around my neighborhood. 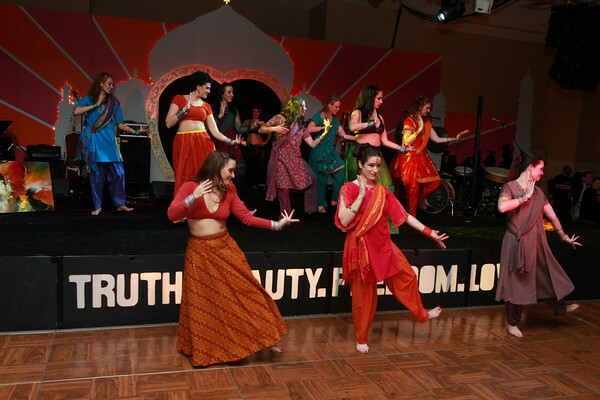 The Charity Gala was a Bollywood themed gala show for Caring for Children. It was by far the fanciest backdrop and stage I’ve ever had the pleasure of dancing on (and in front of)…I was lucky enough to work with three primary dancers, Lara Lustig, Jen Amann and Christine Garvin as well as the entire Bala! Bhangra Troupe and The River Guerguerian Project. I SO enjoyed being able to work on large-scale choreography and to work with live musicians – I’m going to try to work on more of that in my future. You can read a great article about the gala here, written by Megan Riley and there is a slide show of pictures by Ryan Bumgarner. While all of this was amazing and wonderful, I am struggling, or, err, learning to deal with a busy schedule and still feel healthy productive. Got any tips for me? March will bring a beautiful spring and also lots of travel…. this upcoming weekend I am off to Pittsburgh to teach, then to Columbia, SC and Toledo, OH. I am also doing lots of planning for the upcoming Asheville Bellydance Festival and Bellydance Retreat with Ava Fleming. What will spring bring you? In my recent, end of the year email newsletter – I shared some good news. It was that I had met a BHAG (oh yes, I did go to business school in a former life) for my business, and that I was setting another large goal for 2011 – to practice dance every day. Well, 18 days later, so far so good. In fact, I’ve been tracking my progress on a spreadsheet (see, business geek rears her head once again) and a blog devoted expressly to that subject. A few days ago I was walking down the street, passed the local (and amazingly addictive) Lululemon Store. For those of you who don’t know about Lululemon, they make amazing and fashionable workout clothes AND have a strong focus on community and personal development. As I walked by the store, I noticed that on the window there was a personal goal for each of the sales associates. The part that struck me was that each goal had a date associated with it. Not just, I will learn how to moonwalk (just an example)…but, I will learn how to moonwalk by January 19, 2011 (if you don’t know how, youtube it -it’s worth it. I figure there is no way to keep myself more accountable then to lay them out for you, the internet and the universe….. I will practice every day in 2011. I will have 5 mentoring students consistently by and after March 15th 2011. I will have full evening classes every week in Spring, Fall and Winter of 2011. I will book 6 additional dance workshops in 2011 by August 1, 2011. I will attend a JTE1 in 2011. I will Buy a custom costume before the end of the year. Oh S**t! Did I say that outloud? or What is practice? ummmmmm, so a few days ago, I had just achieved a business goal I had set for myself and was ruminating on goals, the new year and where I’d like to see myself grow. Simultaneously, it was time for my monthly newsletter. 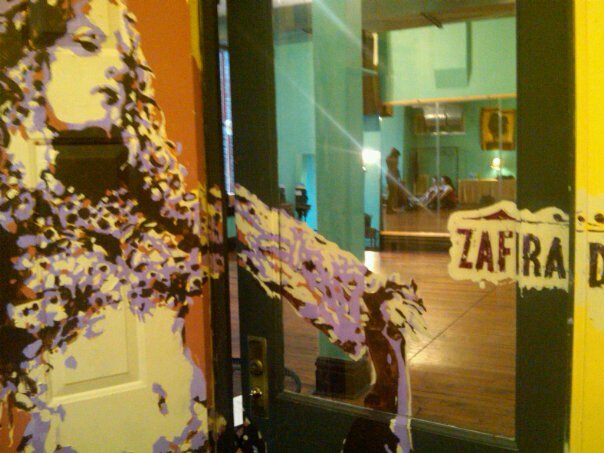 Full of fun tidbits of my dance practice and business — and I decided to add an article. And I set a set a big ol’ dance goal for myself. So I told everyone about it. And I sent it. And I posted it on the internet. Umm, frack. I just told the whole world I was going to practice everyday next year. What the hell, Lisa? There are times this year I went weeks without practicing. I mean sure I was teaching and performing, but no dedicated time to my own dance practice. So, with mild panic, I embrace this goal…I want to grow, I want to change, I want to always be a better dancer. aaaaaaaaaaaaaaaaaaand, I am going to track it all right here. So time to set some rules – what is practice? How long does it have to be? Does listening to music count? It has to be at least 30 minutes. It might be 10 minutes in the morning, 10 before class and 10 before bed – but I will practice at least 30 minutes a day. every day. next year. Practice has to be about my dancing. Not choreographing for private students, not making a class plan…. I commit to (30×365) 10,950 minutes of practicing my art for myself. But, I’m not sure about the other goals – what actually constitutes practice? What do you think? How do you structure your practice? Open to ideas as I start myself on this journey….hey, maybe I’ll even start early.